The sculptor Giacomo Serpotta was born in Palermo in 1652, and died there as well, eighty years later. 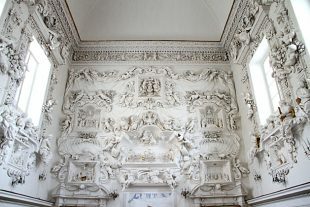 Though he never left Sicily, he achieved a great deal of fame throughout the world for his incredible Rococo stucco pieces. The Oratory of Santa Cita, which he worked on for nearly half his life, is his masterpiece.